With his cameo in Midnight in Paris and an upcoming HBO biopic, Ernest Hemingway is back. 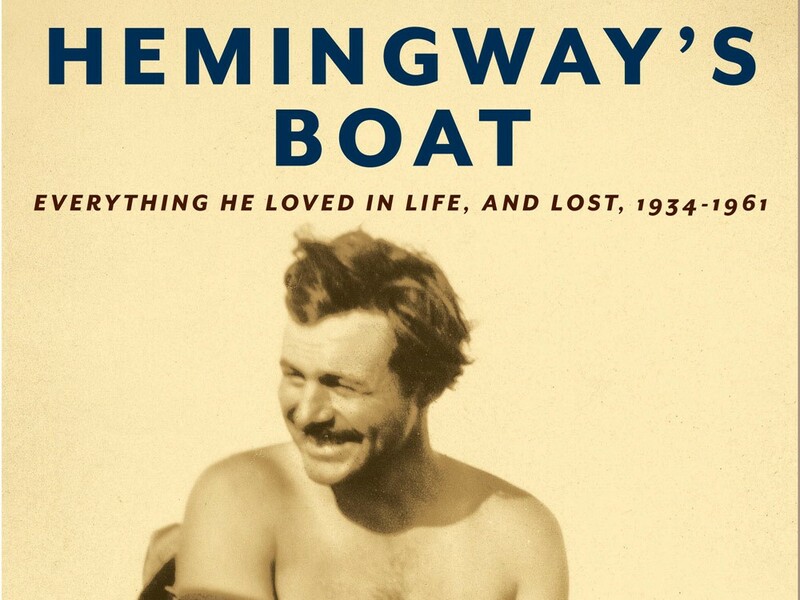 But if you’re looking for a new biography, Hemingway's Boat isn’t it. No, this is more like a rebuttal to much of what’s been written about the man. Paul Hendrickson seeks the reflection of the writer in the shiny black hull of the Pilar, the boat Hemingway bought in 1934 and which was the one constant in his final three decades. This book drifts from calm to stormy seas, from Key West to Ketchum, from his works of writing to the friends and family he kept close and pushed away. It might be the most complete picture yet of a most complicated man. Anne Akiko Meyers is a superstar we’ve been lucky to have her play with the Spokane Symphony three times. Now she’s sent us a love letter from three centuries past. Not only is she playing music written in the early 18th century on Air: The Bach Album, but she’s playing it on instruments from that very era. And not just on any instruments: Meyers owns and plays not one, but two Stradivarius violins. J.S. Bach lived from 1685- 1750; Antonio Stradivari lived from 1644-1737. each man produced around 1,100 works of art. In Meyers’ hands, this perfect combination adds up to something profound something that channels the eternal power of music. This is TCM’s time of year in fact, Turner Classic Movies devotes every February to films that won an Oscar for something, for its 31 Days of Oscar. I love host Robert Osborne (little-know fact he was born in Colfax) and his succinct, gossipy introductions. But the movies are even better like a slowly unfolding moment of zen in our busy lives. There’s no requirement of a car chase in the first 10 minutes. Story comes first. The 31 days run through March 2, so you can still catch The Grapes of Wrath (2/25), A Star is Born (both the 1937 and 1954 versions on 2/26) and the old Cinerama classic Grand Prix (2/28).